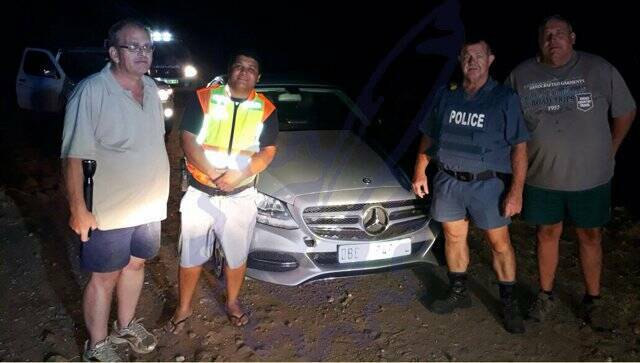 South African police have intercepted four vehicles worth R1, 2million which were being smuggled into Zimbabwe through illegal crossing points along the Limpopo River. Limpopo police spokesperson, Brigadier Motlafela Mojapelo said the vehicles were intercepted between Sunday evening and yesterday morning during an ongoing operation. He said the suspects fled leaving the cars behind soon after spotting security agents. “The continuous operations that are being conducted along the borderline aimed at stopping the smuggling of vehicles and other stolen goods north of Musina, continue to yield positive results. In the latest success, “Operation Vala Madi”, comprising members derived from the Public Order Police, the Makhado Cluster led by the Cluster Commander, the South African National Defence Force (SANDF) the VIS and Crime Intelligence, managed to intercept and confiscate four vehicles along the borderline in the vicinity of Beitbridge Border Post,” said Brig Mojapelo. He said the vehicles had been grabbed from different people in South Africa and police were still conducting investigations into the hijackings. A Mercedes Benz C220, valued at R400 000; a Toyota Hilux Legend 45, valued at R268 000; an Isuzu KB300, valued at R250 000 and a Ford Ranger 2.5, D/Cab Valued at R 300 000 were recovered. “We want to warn those involved in illegal activities along the border line that we are out in full force and their days are numbered,”he said. The Provincial Commissioner of the South African Police Service in Limpopo, Lieutenant General Nneke Ledwaba yesterday commended the team for its determination to stamp out smuggling at the border.